We have enhanced the schema of Analytics, the powerful query language of Visual Studio Application Insights. 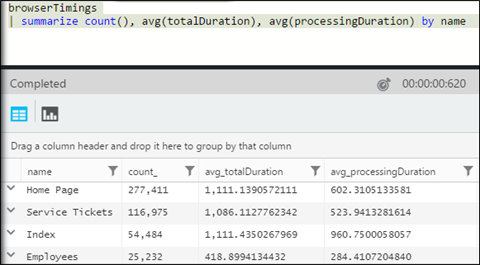 We’ve separated metrics into performanceCounters and customMetrics, and we’ve introduced browserTimings to show page load data from the client side. 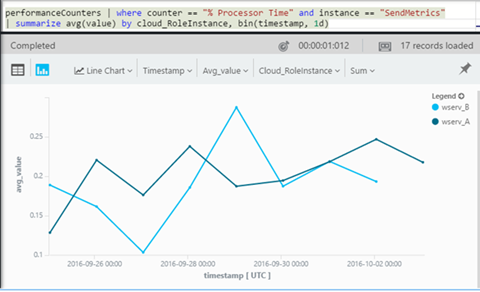 These changes improve the discoverability of the data, simplifying your queries and exposing new metrics and dimensions of your telemetry. 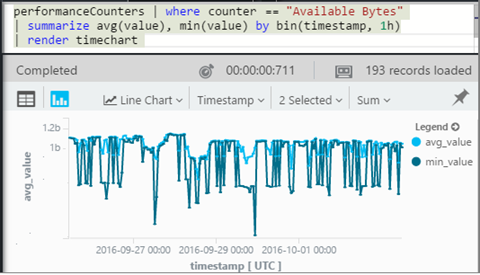 This schema is the single place where you should look for any performance counter that is reported from your application. 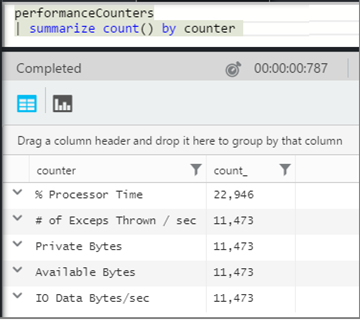 Whether the performance counter is automatically collected by Application Insights SDK or you have configured the application to send other performance counters, the data can be found in this schema. At last we expose client side metrics. Many of you have asked for this and we are happy to support your request. 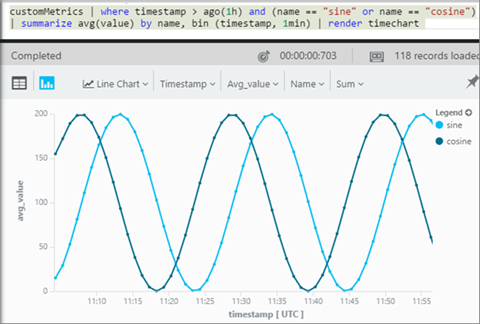 Set up your app for client-side telemetry in order to see these metrics. name can be used to filter by page name, and there are also properties such as client_OS and client_Browser. We also provide you with the performanceBucket property to quickly analyze and group the client side metrics by buckets. We hope these changes help you to understand your application’s usage and performance better. The data is there - all you have to do is just query it.